Governor Cuomo and the Working Families Party: Eve of Destruction? The governor’s attack on “cross-endorsements” is really a ploy to ban the pesky third party that stands up to corporate interests. 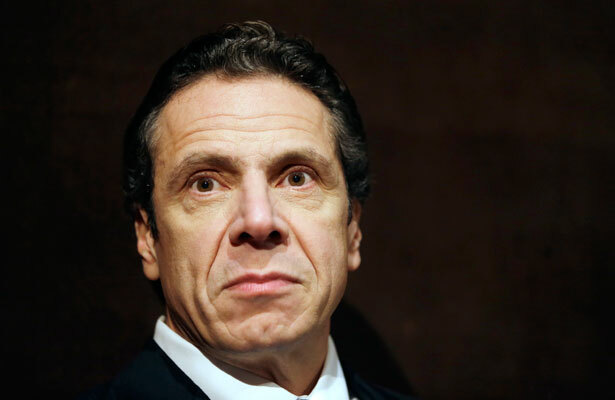 The last few weeks have seen an amazing move by New York Governor Andrew Cuomo. In response to a prominent set of arrests of high-ranking Democrats and Republicans, the governor has proposed a series of proposals to strengthen the power of district attorneys to investigate corruption. Okay, that seems like a reasonable enough response. But the governor has also proposed another response to the corruption scandal. He has proposed banning the Working Families Party. I know, he can’t ban a political party. But he has proposed to eliminate “fusion” voting. He calls it “cross-endorsement,” but fusion is the historical term. More on fusion below, but let’s stay in the news cycle for another moment. The governor’s stated reason for banning fusion is silly. But his real, unstated reason is not. Let’s take them in turn. Three weeks ago, State Senator Malcolm Smith was arrested for allegedly trying to bribe his way into the Republican Primary for mayor, despite being a registered Democrat. The governor seized on this and said to the New York Post, “In an ideal world, there would be no cross-endorsements.” In other words, because Smith attempted to bribe his way to a “cross-endorsement,” we ought to ban cross-endorsements. By this logic, as one Working Families Party leader said on television recently, if Malcolm Smith had tried to bribe someone to get his kid a job, would we then pass a law to ban jobs? The more likely (if unvoiced) reason for this proposal is plain. For reasons both similar and different, the governor and the real estate/Wall Street/low-wage employer wings of the Democratic Party in New York would like to see the Working Families Party disappear. The WFP is the most persistent threat to the power of business interests in the Empire State, and the governor doesn’t want anyone to point out that he governs as a centrist on economic issues and a liberal only on social issues. The business lobby is serious about crushing “the little party that could” (a Newsday headline of a few years ago), spending millions of dollars on television and mail against WFP candidates, and even trying to hire well-known progressive public relations firms to wage a PR battle against them. So far, they have failed. Now, the governor’s aides are pushing a line to the press that the “third parties” in New York have “too much” influence. It’s true that the Conservatives have power and influence with the Republicans, and that the Working Families Party has the same with the Democrats. But that’s because they have support among the voting public, they have ideas, and they have verve. The Millionaire’s Tax, Paid Sick Days, the minimum wage, Rockefeller Drug Law reform, the Green Jobs Act, the emergence of the Progressive Caucus in NYC, the inclusionary zoning rules, the passage of the Wage Theft and Domestic Workers Acts—each of these, in ways large or small, got a boost from the electoral savvy and relationships that the WFP shows day after day across the state. So it’s not a surprise that the business class and its allies want to see them weakened or, better yet, destroyed. One can’t help but point out that this is not the first time that establishment power has decided that one potent way to weaken the progressive left is to eliminate fusion voting. It happened more than a hundred years ago, and it’s a vital if little-known part of our political history. It’s unlikely that the legislators and press corps in Albany are aware of this, but it’s a history worth reciting as they consider the current proposals from the governor and Senator Jeff Klein, the renegade/independent Democrat who has aligned with the Republican State Senate majority. In a fusion system, a candidate can run with the endorsement of more than one party, with the votes on either line counting towards the total. Basically, fusion allows third parties to avoid the “wasted vote” or “spoiler” dilemmas that otherwise doom third parties in America to irrelevance. In the winner-take-all system that we have in America—meaning, no proportional representation—fusion is the best way past those twin dilemmas. In fact, some political scientists call it “modified proportional representation.” My sense, having watched the vicious attacks in the Murdoch press over the years, is that the WFP is entirely correct about the value of fusion. The right doesn’t waste time attacking people it doesn’t care about. Fusion was once legal in every state. Especially during the agrarian insurgencies of the post–Civil War era, fusion parties were at the heart of the challenge to the powers-that-be. The Populists are the most famous, and their rise in the late 1800’s eventually produced a fierce counter-reaction. After the 1896 election in which William Jennings Bryan, running on a Democrat-Populist fusion ticket, was soundly defeated by McKinley and the railroad barons, the anti-fusion movement got serious. In one state after another, the electoral rule that allowed the workers (mostly Democrats) to unite with the farmers (mostly Populists), was changed. Non-fusion third parties continued to exist, of course, and the Socialists were a vibrant presence until the First World War, but in general it’s fair to say that the anti-fusion rules made traditional third-party organizing less than it once was. The labor movement long ago threw in with the Democrats, because to do otherwise simply did not seem tenable. It’s been a barren marriage in many respects, and one hears plenty of frustration with the Democrats today from labor leaders Rich Trumka or Lee Saunders or Mary Kay Henry’s words. In most states today, the fusion option is not available, but a “Working Families Organization”—non-party parties, really—strategy is indeed available and popular among institutional progressive leaders in many states. So, nothing new under the sun. The Populists made a real play for power, and the forces of capital united to crush them. No doubt the Populists made some mistakes, but their real sin was that they stood up for what they believed in. Today in New York and Connecticut, the more conservative elements in the Democratic Party are trying to eliminate fusion voting, and it remains to be seen whether the WFP and its allies in community, labor, civil rights, environmental, student and feminist organizations can stop them. Pro-fusion forces on the right like Mike Long and the Conservative Party will no doubt push the Republicans to withstand the governor’s call, but in the end it will come down to progressive-minded leaders and legislators inside the Democratic Party voting yea or nay. Here’s hoping they stand with working families, lower and upper-case. The research undergirding austerity politics has been exposed as fundamentally flawed—yet Republicans continue to call for drastic cuts, Katrina vanden Heuvel writes.